In Paris for WexFour eLaunch! 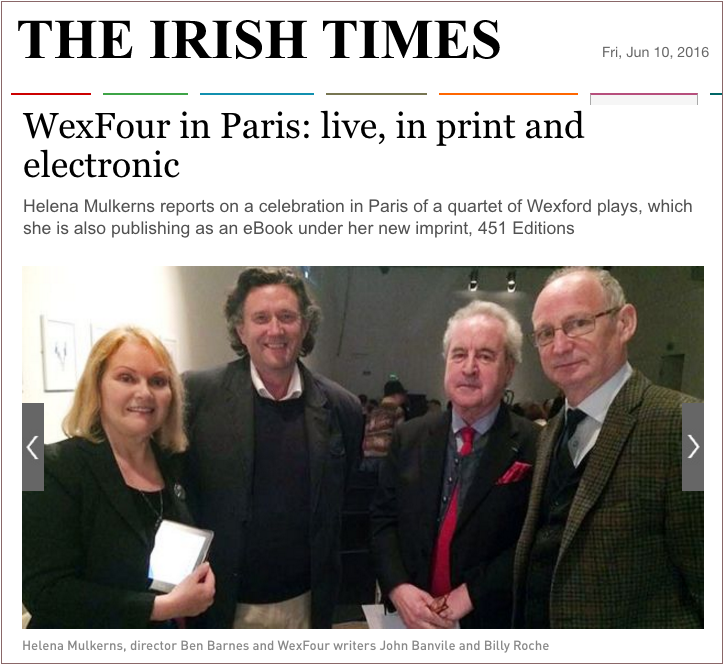 It was wonderful to be able to travel to Paris last week for the WexFour event at Le Centre Culturel Irlandais, where, following a special staged reading of the four one-act plays, the WexFour eBook from 451 Editions was officially launched. The crew from The Wexford Arts Centre did an amazing job to a full house, and for a full account of the event, please click here for the article in The Irish Times, or click on the image above. Below, you can see some photos from the trip. Click on the first pic to set the gallery rolling.